Romantic Freistadt is located in a wide open basin, right in the heart of the hilly Mühlviertel region. The lovely town of Freistadt has always been protected by the majestic Bergfried fortification an the two well-preserved town gates leading to the beautiful center with its romantic little lanes, marvelous squares and inner courtyards. Freistadt ranks among Upper Austria´s and Mühlviertel´s most important sites of medieval architecture. Follow the outstanding Culture Trail through Freistadt´s charming town center and discover the most beautiful spots of the entire area. 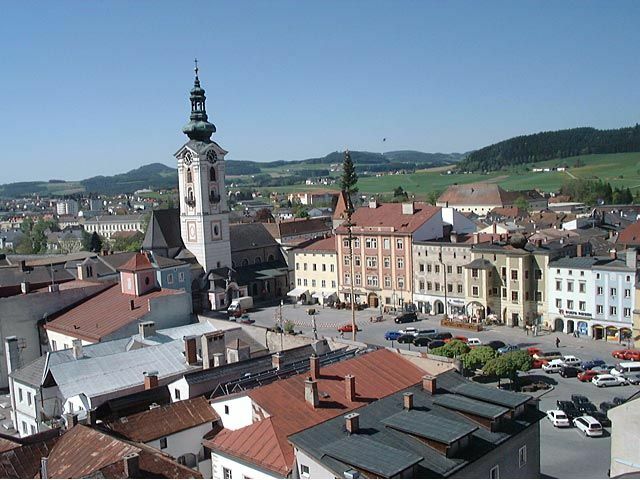 The unique one-hour walking tour starts in Freistadt´s medieval town center (main square). Following the tracks of ancient history you are invited to stop at one of the cozy cafes, bakeries or inns along the trail. Freistadt is also known as Mühlviertel´s shopping mall featuring many attractive stores and shopping centers. We are looking forward to welcoming you soon. The ancient town of Freistadt has always been of major importance due to its convenient location on two significant trade routes in immediate vicinity to the Bohemian border. In 1220 the Babenberger Dynasty founded a fortification and trade center named "Frienstat" (Town of Liberty). Following the tracks of ancient history you are invited to stop at one of the cozy cafes, bakeries or inns along the trail. Freistadt is also known as Mühlviertel´s shopping mall featuring many attractive stores and shopping centers. We are looking forward to welcoming you soon. Freistadt and its beautiful surrounding hamlets are situated right in the heart of the scenic Mühlviertel region. It has a lot to offer in summer and winter alike. Experience genuine Austrian hospitality and discover the unspoilt winter wonderland. Rest and relaxation guaranteed!